Peterborough and Cambridgeshire District Dyslexia Association are hosting a British Dyslexia Association Parent Pop-Up Roadshow Event coming up in Walton Peterborough. This event is aimed at parents and carers of young people with dyslexia interested in expert advice on dyslexia, strategies and free tools to support a young person with dyslexia and guidance on navigating the routes to get assistance. On 11th May 2019 from 12:30 – 4:00pm at Queen Katherine Academy, Mountsteven Avenue, Walton, Peterborough, PE4 6HX, the British Dyslexia Association will be joined by Arran Smith, Hayley Mason and John Hicks! In the Spring of this year Cambridge County Council ran a series of workshops across Cambridgeshire and Peterborough to hear your thoughts about what they need to do, to achieve the strategy. 2) Your views on what needs to be done to deliver the three main priorities of the draft SEND Strategy for Cambridgeshire and Peterborough. The final SEND Strategy and Action plan will be published on our local offer websites later this year. Thank you to all who responded to the Local Authorities Dyslexia survey. As a result of this the Cambridgeshire Dyslexia Guidance has now been updated. The main changes include: separating the guidance from the research document, writing a ‘quick guide’ for parents and improving links to the most up-to-date websites. We are delighted that the British Dyslexia Association (BDA) continues to commend the Cambridgeshire literacy difficulties/dyslexia guidance. This document has been written to provide guidance to professionals and parents on the most current approaches to support the successful inclusion and attainment of children and young people with dyslexia. The document forms part of the wider Cambridgeshire Local Offer which covers information on the local provision for Special Educational Needs (SEN) and Disability. It is a working document and will be reviewed biennially, or sooner if there is significant new research. 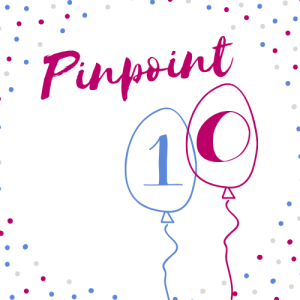 A warm welcome to two new team members for Pinpoint in 2019! 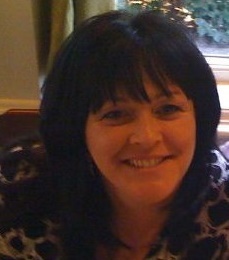 Linda Green is former Pinpoint Trustee and spent fourteen years with Papworth Trust. 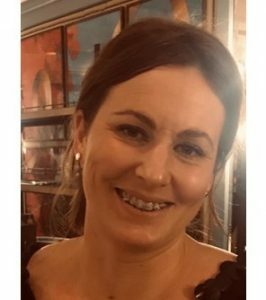 She will be joining us as our Volunteer and Engagement Manager, working alongside new and old Pinpoint volunteers, ensuring parents voices continue to be heard, whilst engaging in activities to increase awareness in the wider community. Did we also mention she is Jonnie Peacock’s mum?! Laura Potter has previously worked for Core Assets as an Independent Supporter and joins us as our new communications officer. She will be working on all things communication, increasing our reach to parents and carers, and also ensuring that parents and professionals work together and all voices are heard. We look forward to working alongside them both in the future. 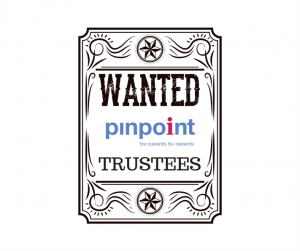 Ever thought of becoming a trustee for Pinpoint? Fancy getting involved and making a difference? Now could be your chance! Pinpoint have been reviewing and updating our policies and documents. As a consequence we will be holding an EGM to update our Constitution. The updates include proposing to stay as a Charitable Incorporated organisation (CIO) and for voting members to be Trustees. 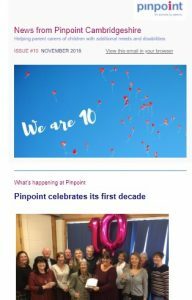 Read all about our Tenth Birthday celebration and how Pinpoint has gone from a kitchen table dream into the charity you know today. Our latest newsletter is out today. Or sign up to our parents’ mailing list and get a copy delivered direct to your inbox every month. Next week is Anti-Bullying Week in the UK. Organised by the Anti-Bullying Alliance – a coalition of organisations and individuals working together to a stop bullying and create safer environments where children and young people can live, grow, play and learn. Paralympian Jonnie Peacock will switch on the Christmas lights in Cambridge Market Square on Sunday, November 18.